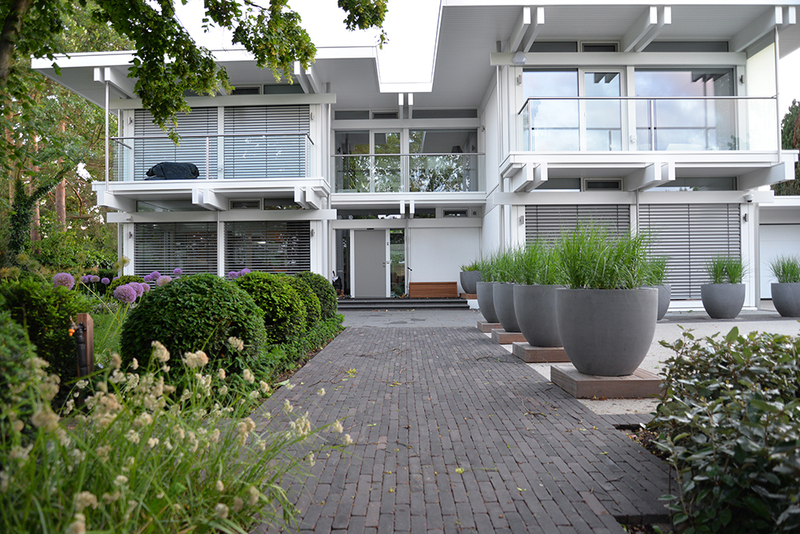 This scheme involved redeveloping a large garden following a major extension of the clients’ home. 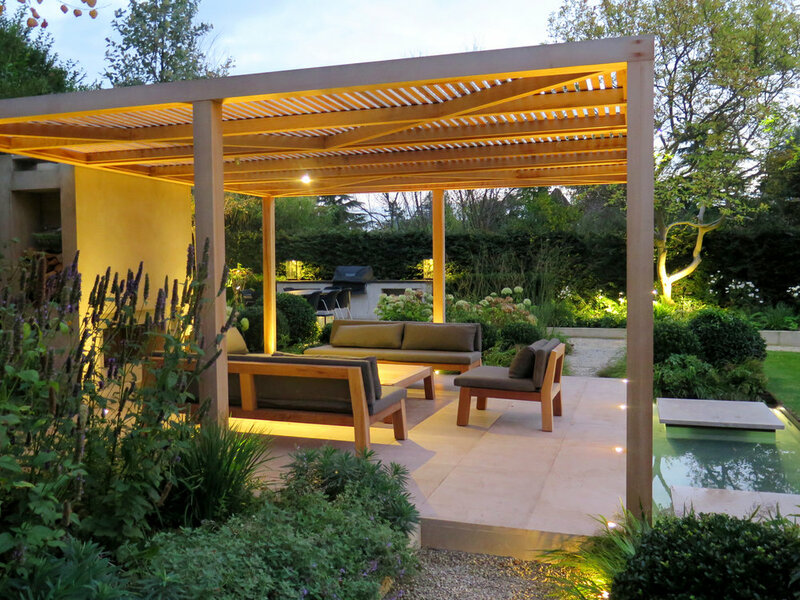 The new garden has been designed to better integrate with the house, provide more generous spaces for entertaining and better connect the house and terrace with the lawns and swimming pool. The original garden was truncated by a beech hedge, overgrown shrub borders and a massive Victorian greenhouse, the glazing and bricks of which were carefully dismantled and reclaimed for a smaller version to be incorporated into the new scheme. A potager-style kitchen garden was developed in a previously unused area of the garden. Reclaimed materials from the site have been incorporated where possible. Planting has been refreshed throughout the scheme and new areas have incorporated the clients’ love of Mediterranean plants, clipped box, lavender, alliums, scented roses and ornamental grasses, providing year round interest.